Just as Medellin pioneered the development of Colombian wild-bird study and conservation via the founding of Sociedad Antioqueña de Ornitologia (SAO) nearly 35 years ago, now the city can boast of hosting the first-ever congress of junior ornithology students. In the April 19 event at Medellin’s Colegio Montessori, some 70 students from four local schools -- Montessori, Colegio Theodoro Hertzl, Colegio Colombo-Britanico and Club de Aves de Ebejico – joined professors and SAO volunteers to celebrate the Primer Encuentro de Clubes Infantiles de Observadores de Aves -- the first-ever Colombian joint congress of junior ornithology students. Following a morning bird-walk around the Montessori campus -- featuring a dazzling display of migratory birds including Yellow Warbler (Setophaga Petechia) and Canada Warbler (Cardellina Canadensis), both now heading for their North American breeding grounds – students and professors provided updates on groundbreaking junior-ornithology studies here. Colegio Montessori and Colegio Theodoro Hertzl (see “Top Bilingual Primary Schools in Metro Medellin Now Offer Ornithology Studies,” 08/03/2017 Medellin Herald) have been leaders in developing junior ornithology studies here -- mainly for primary-level students. 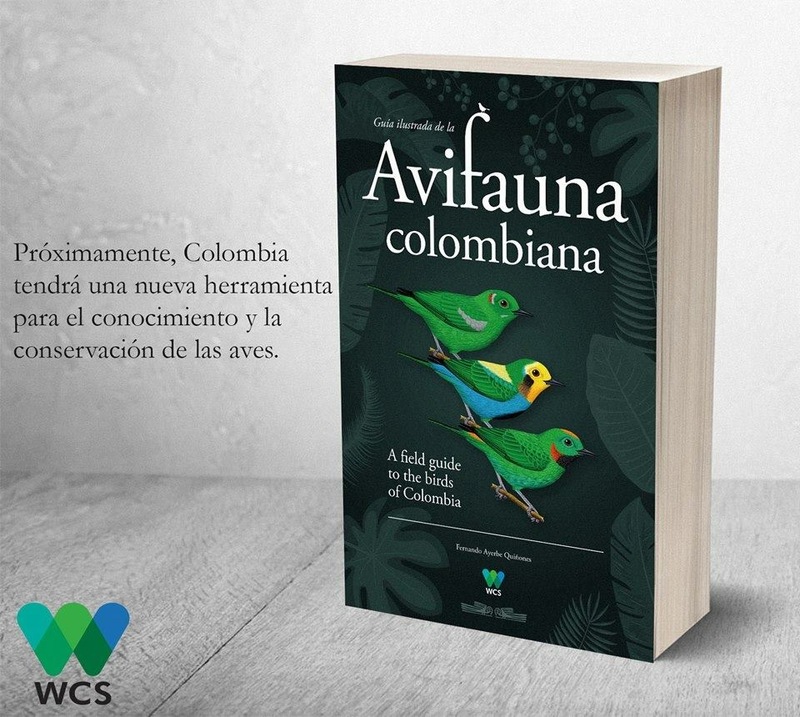 But Colegio Colombo-Britanico and Club de Aves de Ebejico likewise have been making impressive strides over the past 12-to-18 months, as students and professors explained here. At Colombo-Britanico – one of Medellin’s top bilingual schools – biology professor Alejandra Becerra explained that her program combines bird studies with broader environmental education. “We’re working to sensitize our students, and their behavior,” Becerra said. Besides classroom work and field trips, the ornithology students also are now participating in the annual SAO-organized Medellin Bird Festival (Festival de Aves de Medellin). All of these activities and studies help motivate students to broaden their horizons and “get them out of shopping malls,” Becerra quipped. The Colombo-Britanico students -- mostly high-school level, but also primary level, plus some parents, relatives and teachers -- participate in birding excursions to locations including Parque La Frontera in Medellín, El Salado Ecological Park in Envigado, the Alto de San Miguel nature reserve in the southern Medellin suburb of Caldas, the San Sebastián de la Castellana nature reserve in the eastern Medellin suburb of El Retiro, the El Moral reserve near the village of San Cristóbal, the El Romeral reserve in the municipality of La Estrella, the Medellin Botanical Gardens, and (on one occasion) a special weekend-trip to the ProAves “Pájaro Arriero” reserve in the municipality of Anorí, organized in cooperation with the Corantioquia environmental regulatory agency. As Montessori rector Myriam Montes explained in her presentation here, “when we see people interested in birds, it sparks so much hope – that the beauty of birds can inspire a desire to protect and respect them. Likwise, three-year-veteran Montessori bird-club student Martin Zapata added here that ornithology education gained in the early years of study “will stay with you for life.” Fellow student “Manuela” added that such studies can help discourage trafficking in wild animals, while promotion of bird conservation also can help control excessive growth of damaging insect populations. On a similar note, Ebejico bird-club founder and professor Edgar Hoyos introduced one young student (named “Albeiro”) here who confessed that years ago, he and friends used to kill birds and eat them. “But after we began studying with Edgar, now we take care of birds – we appreciate their songs and their beauty. Now I want to write a book asking pardon for what we did before,” Albeiro added. In the “El Brasil” neighborhood near the town of Ebejico, students in the Pajaros de Mi Vereda program founded by Hoyos so-far have recorded more than 120 bird species in an area that principally is dedicated to coffee, sugar cane, fruit and vegetable production. The initiative has been so successful that the Pajaros de Mi Vereda program has won two environmental prizes from Corantioquia, including donations of binoculars, he said. Projects to date include installing and maintaining bird-feeders (mainly stocked with plantains for fruit-eating birds) and teaching students how to point-out bird sightings to their colleagues, using the concept of the hour-hand of a 12-hour clock, he said. “This is a great way to learn, have fun and share joy with other people,” added Mathias Quintero, an especially outstanding Hertzl ornithology student, a budding bird artist -- and only just 10 years old. A seed for the future, indeed. Great article! Hope for the future.